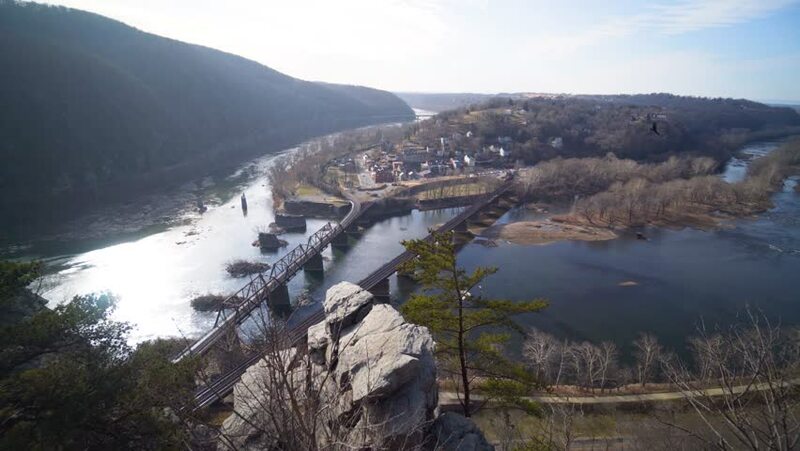 View of Harpers Ferry National Park and Potomac and Shenandoah Rivers, from Maryland Heights in Maryland. 4k00:16Tilting aerial view from the summit of Mount Snowdon. 4k00:08Timelapse footage of beautiful Pordoi Pass in the Italian Alps from the top of funicular on sunny summer day. 4k00:14View of a granite rock with moss as a stream of water flows on it.